Although they are known for their iconic electric guitars such as the Les Paul, Gibson makes an range of equally iconic acoustics, being one of the oldest guitar makers in the US. 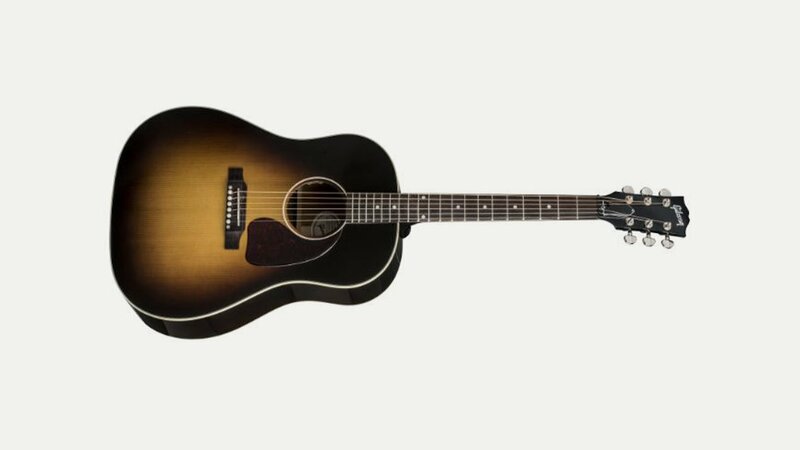 Famous models include the SJ 200, Hummingbird, Songwriter and J-45: all acoustics are made in the US. Established in 1890 by Orville Gibson, the Gibson Guitar Corporation has grown into a major iconic guitar brand, being most well known for the Les Paul solid body electric guitar and the ES-335 semi-acoustic guitar. The company also owns Epiphone guitars. Its first electric guitar – the ES-150 (ES for Electric Spanish) – was produced in 1935; a pick-up being installed on an f-hole archtop guitar.